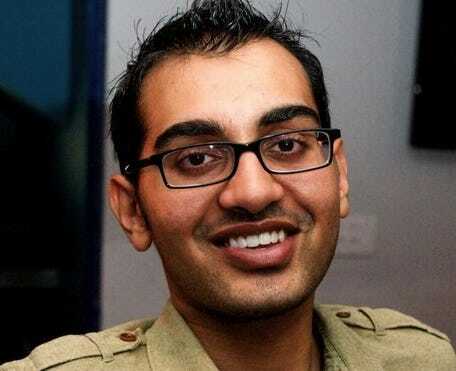 KISSmetrics Founder: "This Has Been My Biggest Challenge Yet"
Neil Patel describes himself as a serial entrepreneur.He is the co-founder of KISSmetrics, a web analytics solution that focuses on helping customers increase the revenue on their website. Neil shares his experiences as an entrepreneur. The Challenge: Our biggest challenge with KISSmetrics has been creating a good product in a saturated market. We spent over a year creating our first product, which customers weren’t too passionate about. In the end we did end up creating a product that customers love, it just took us one and a half years to get there. The Solution: We solved our product problem by interacting with potential customers. Instead of spending a year building up version 1 of our product, we spent a month building up version 2. Once we got a minimal viable product up, we then kept on evolving the product in small forms through customer feedback. Once customers said they wanted to pay for it, we took the product out of beta. The Aftermath: KISSmetrics was looked upon in a positive fashion once we solved our product problems. Customers are now getting value out of the product and they are able to increase their revenue through the use of it. The Lesson: Don’t build a business for you, build a business for your customers. Find out what they want, why they need it, and how much they are willing to pay. The Young Entrepreneur Council was founded by Scott Gerber, a serial entrepreneur, internationally syndicated small business columnist and author of the book, Never Get a “Real” Job. The YEC’s mission is to help young people build successful businesses and overcome the devastating epidemics of youth underemployment and unemployment.